Speaking as part of a lively debate at the Vivid Festival in Sydney and entitled ‘Is Data Killing Creativity’, Williams and fellow panellists, Dr Chelsea Wise, founder of the UTS Behavioural Marketing Lab, and Holly Joshi, senior manager optimisation and analytics for Asia-Pacific at Sapient Nitro, defended data’s role and argued it actually fuels and supports creative thinking. In her 10-minute talk, Williams questioned the instinctive-driven approach taken by creative leaders when coming up with the ‘big idea’ for brands to lead with in their advertising efforts. Instead, she suggested data could help improve how campaigns and approaches to engagement are executed. Prior to joining HCF, Williams worked in ad agencies with an emphasis on digital. She also spent time at the beginning of her career programming PCs for financial institutions. As a health insurance provider, Williams said it’s vital to change the creative message and approach if it’s to position its products appropriately for a 60-year old customer versus an 18-year old prospect. And getting that level of personalisation requires data as well as human analysis. For the purposes of the debate, Williams argued creativity was seeing things in new ways, and new patterns in activities, information and experiences that are innovative or haven’t been thought of before. “Creativity and data are the best bedfellows you can imagine,” she claimed, adding that it’s the insights, intelligence and creativity human beings bring to the numbers that makes data useful. For Williams, the ultimate combination for marketers and creatives is to marry data and creativity together, not choose one over the other. “They can complement each other. The best relationships are those where there is that complement,” she said. “I’m not saying creativity is bad, or that creative people have to analyse data. But they should respect it as it’s demonstrating what’s working. An equally compelling and scientific view for data killing creativity was presented by Dr Fiona Kerr, systems and neural complexity specialist at Adelaide University and a regular speaker on the topic of creativity leadership. She was joined by Oliver Freeman, director and co-founder of The Neville Freeman Agency, and Luke Chess, partner at creative agency, Mammal. Dr Kerr suggested humans have a level of creative dearth as they experience cognitive overload, as our brains become saturated in a way that stymies creative thought. The reason people notice things like which ways cow face (mostly magnetic north according to statistics) is because we are idiosyncratic and creative, Dr Kerr said. “What our brains do that data mines don’t do is they abstract. What that means is we notice things and connect them in all sorts of interesting ways,” she explained. Stepping back from a task to “daydream” and allow more abstraction gets us out of linear ways of thinking and prompts creative new ideas, Dr Kerr continued. “Those cross connections that can just be the ‘aha’ moment, are very much to do with creative ideation… putting together information in your brain. That suffers when we have to start dealing with analysis,” she told attendees. According to Dr Kerr, when we go into analysis of data or become task focused, certain chemicals in our brains are raised, we become worried, and we cannot abstract as much. We can also be swamped by big data, and she noted it’s the small data or the questions we ask that are useful. Thanks to the bias presented in the way big data is shaped and the questions we ask of it, Dr Kerr said it’s changing the architecture of our brains – and it’s hurting our ability to be creative. “As a human being, if something stirs your empathy or emotions, you go into a completely different thought process, it turns our motor neuron system on. It puts us into a discernment process which is a totally new filter on bringing up relative information and that is based on values, ethics. It’s also long lens and consequential, whereas data is short lens and very much driven by the question I’m asking right now. 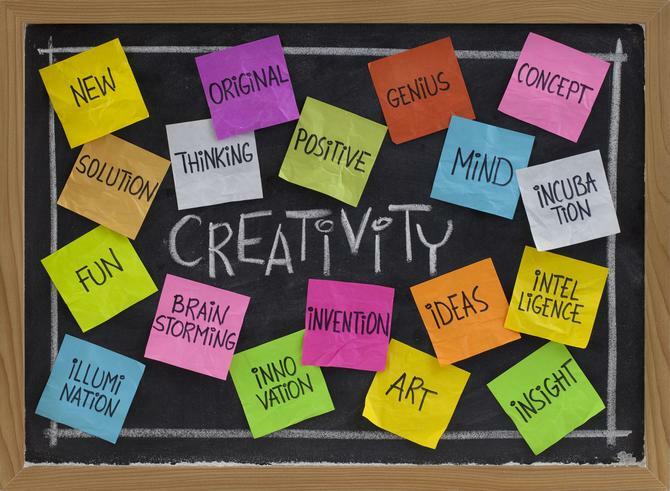 Despite the persuasive arguments of the pro-creativity team, the majority of event attendees agree data was not killing creativity (64 per cent versus 36 per cent). The event was managed by Adobe and held at the Museum of Contemporary Art in Sydney.